As of right now, the game looks to be a retelling of the story of Dragon Ball Z, at least up until the end of the Freeza saga. And my main problem with this is, the story of Dragon Ball Z has been told to death in the countless Dragon Ball video games that have been released over the past couple decades. Honestly, I am tired of seeing these events hashed out over and over again. 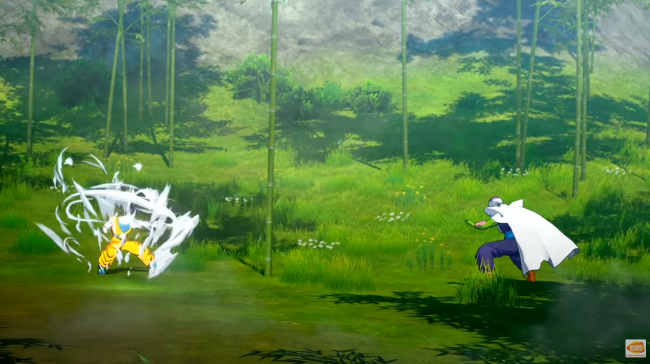 In a time where we are getting more brand new Dragon Ball content than we know what to do with, going back to the most used well of the franchise is the least interesting move they could have made for a new and upcoming game. I would have been far more intrigued if they’d based the game around the events of Super, if not given it a wholly original story. Which brings me to the other big red flag, there is no real indication of what kind of game this is going to be. 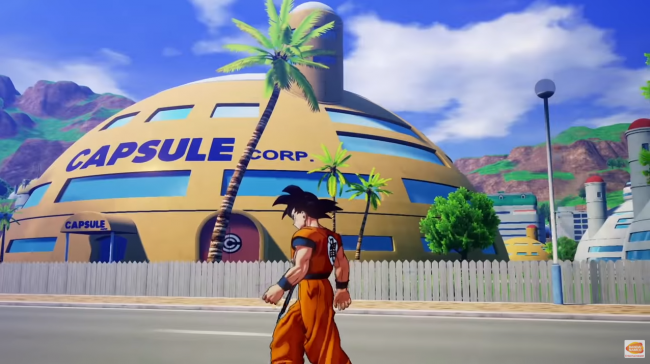 All we can go off at this moment is the fact that they label it as an “Action RPG”, which you could describe the Xenoverse games as, and the few shots of Goku slowly walking through, admittedly pretty looking, environments. Right away, there are far more comparisons to be drawn between this and the Xenoverse series, rather than something like FighterZ. Between the way the game looks, the RPG mechanics and the kinds of games CyberConnect2 are historically known for. And personally, I have very split feelings on the Xenoverse games. While I will always praise them for their character customisation, unique story and its toybox like approach to the game, which inspired a very active and interesting modding scene, the game play for the game itself was horrendously grindy and repetitive. Making the battles end up somewhere between long winded and frustratingly difficult. The impression I get from what little they’ve shown, and the fact that they’re holding so much back from a game that’s supposedly coming out this year leads me to believe that this is a game meant to cast a wide net. One to catch up all the new and relapsed fans who’ve found themselves drawn back into the franchise thanks to the likes of Super, the Broly movie or FighterZ. The downside to this is that, to those of us who’ve been paying attention to the franchise all this time, it seems like a relic from ten years ago. The long and short of this is, we’ve been spoiled by Arc System Works and the quality of FighterZ. Because if I’m being brutally honest, visually, this game doesn’t look like anything all that special. Coupled with the lack of any substance in terms of potential game play, it’s difficult for me to get excited. The one positive take away I have to hold onto right now is that this game is being billed as an RPG and not a fighting game. Ironically, most of the very best Dragon Ball games over the years have been RPGs. The Legacy of Goku trilogy, Dragon Ball Fusions and Attack of the Saiyans on DS stick out prominently as unique takes on familiar stories and themes. With this game being so close, I really do hope Bandai Namco are holding something back and there is more to Project Z outside of a pretty generic looking Dragon Ball game. One that honestly hasn’t done anything grab the attention of long time fans like myself who have been putting up with mostly crappy Dragon Ball games for a real long time now. 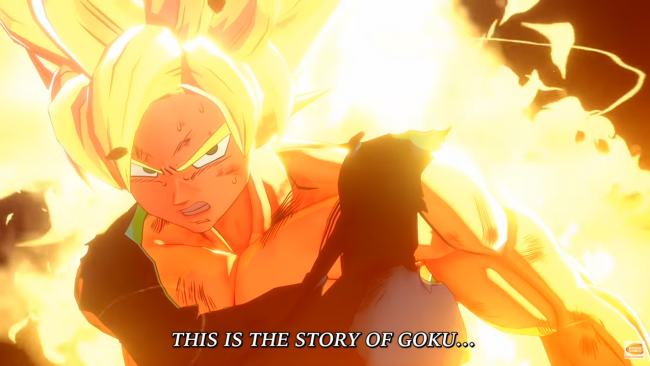 Posted on January 28, 2019 by WooderonPosted in Features and/or Ranting:, Video GamesTagged action rpg, bandai namco, cyberconnect2, dragon ball, Dragon ball z, dragonball fighterz, goku, project z, trailer, xenoverse.